I think that I am going to try and resist these boxes, at least until I get some of my already ordered boxes in the mail. I wanted to let you know what was released though because these boxes may be something that you can’t resist! 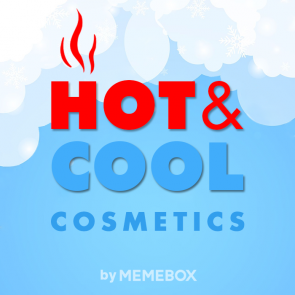 For those of us who are as fickle as a pickle and “change our mind like a girl changes clothes,” Memebox presents the dynamic Hot & Cool Cosmetics box. This box is packed with a double dose of mega-beauty – heating and cooling cosmetics – to treat and care for skin, body, and hair. Steam and heat technology provides gentle all-around care by cleansing clogged pores, exfoliating the skin, providing deep nourishment to damaged hair, and helping the body beat bloat. Cooling cosmetics are enriched with crisp and fresh ingredients that minimize the look of enlarged pores, revitalize exhausted and dull skin, and deliver a refreshing punch of cool beauty. You’re yes then you’re still yes. The box itself is a very appealing concept. I know that Memebox has done a cooling box before but I don’t remember seeing anything heat/steam related so that would be really cool! If this is still available, I may look into it a little bit later. Your skin will revel in pure joy with nature’s beauty recipe for a beautiful, more gorgeous you! On the surface of it all, your skin-care regimen may seem perfectly honest, strict, and even squeaky clean. But did you know? Many of the your most common skin care habits are actually hostile to the skin, stripping the skin of essential natural oils, vitamins, and minerals. In the end, your skin is far from the clear, radiant and glowing skin that you crave. But, fret no more because, this box, made with the finest quality natural ingredients that you’d find in the magical Garden of Eden will give you that lit-from-within glow that is reminiscent of a goddess! If you can afford to hire a professional lighting team to follow you around 24/7, go ahead, but we’ve found a more practical (and affordable!) way to give you clearer, brighter, and more healthy complexion! This box has the same confusing pricing situation as the Hot & Cool Cosmetics box does. I think I am going to email Memebox to see what the actual price is because I don’t want to tell you the wrong price if it is actually higher than what is listed. I think that for people who really like skin care products, this will probably be a really awesome box! I mean if they are going to use the word “goddess” to describe what you will look like, they have too make it good. Right? I look forward to seeing what will come in this box. 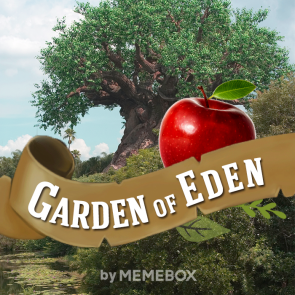 Update: The Garden of Eden box now has the $29 price on both parts so this should be the correct price. *You are able to do a value set of the Hot & Cool Cosmetics and Garden of Eden boxes. These value sets are great because you only have to pay one shipping cost for both boxes and they automatically upgrade you to express shipping. Express shipping for $6.99 for two boxes, thats great! Love our Luckyboxes? 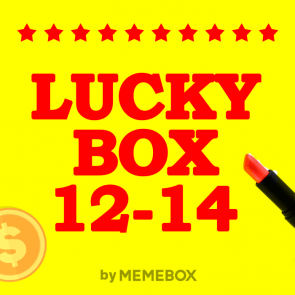 Then get excited for this Luckybox Bundle Series, which includes Luckyboxes #12, #13 and #14! Be sure to check out our new shipping offers where you only pay the one-time shipping charge of $6.99-already included in the purchase price-and the shipping charges for the remaining 2 boxes will be on us! Get your hands on the LUCKYBundle that you’ve all been anticipating and be the first to check out the latest beauty trends from Korea. Pre-order your LUCKYBundle before they sell out! Limited quanitites only, so get your hands on them now! For those who don’t know, the Luckyboxes are a collection of products that have been really popular from past boxes. This bundle includes 3 boxes that ship at separate dates, each a month apart from the previous. The good thing about this bundle is that you only pay one shipping cost and the other boxes are shipped to you for free (or as my Dad would say, “included in the price”). Unlike some bundles, you do not get a free upgrade to express shipping but this is still a good deal! Let me know which of these boxes (or other ones still available) interest you! As a Canadian, it really excites me to see Canadian subscription boxes on the market. I have only tried one so far and it hasn’t been my favourite. However, today I found postings about a new Canadian subscription service that seems pretty exciting! The box is called the Indulge Me Box and it is based out of Montreal. This box is $20 a month and is supposed to contain a mix of makeup, skin care, accessories, and other surprise items. If you live in the US and would like to get this box, you can, but you must pay an extra fee for shipping. Shipping to Canadians is included in the price of the box which is great! The inaugural box will be shipping out any day now and it is the November box. I have seen some sneak peeks of this box and it looks like it includes a mix of well known brands as well as local Canadian companies which I absolutely love! From other posts that I have seen, the creator of Indulge Me Box is very good at communicating with customers when she is contacted but also through blog posts and other social media. It really seems like this will be a box that tries to make its customers happy so I am excited to see the things that are included in future boxes. I signed up to receive the December box (the next available one) which means that I will be billed November 15. I like this because if my recurring billing time was now, I would be paying for my January box before I even receive my December box. There is a spoiler on the website for the December box which is kind of what pushed me to try this box out. I won’t post what it is here in case anyone wants to sign up and doesn’t want spoilers. I completely understand this because I usually try and avoid them myself. 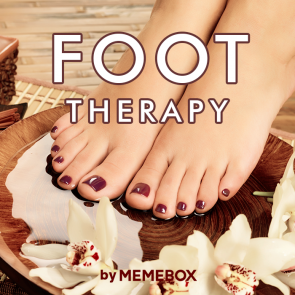 If you would like to take a look at what this box is all about, you can find them at http://indulgemebox.com/ or you can check them out on their facebook or twitter. It’s funny, I have only been blogging on here for a couple of days but I just want to be writing here all of the time! 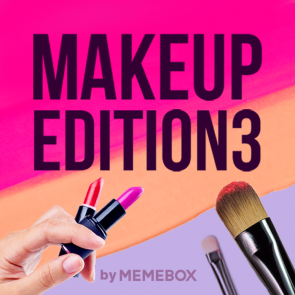 Since I feel like writing all of the time, I am going to let you know which Memeboxes are currently available that I find interesting and you might too! All pictures and descriptions contained in this blog are from us.memebox.com and I do not claim that they are my own. I only want to provide the pictures in case it helps anyone with their opinion on the boxes. All opinions here are my own and although I probably will not buy most of these boxes (my bank account won’t let me at the moment, I do find them interesting! If you have any interest in purchasing these boxes, you are welcome to do so using my affiliate link http://us.memebox.com/user/unboxingbeautylife. You certainly do not have to use this link if you do not want to. 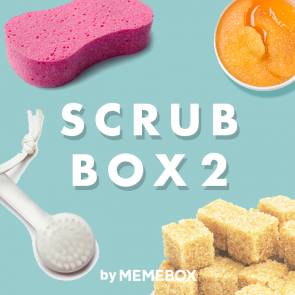 If you liked our first Scrub Box, you’re definitely in for a treat with this Scrub Box #2! Polish, retexturize, and resurface the skin by blasting away debris on the skin’s surface for a head-to-toe glow! Once the surface of the skin is polished and renewed, the skin will be ready to soak up more nutrients, vitamins and antioxidants, and lock in moisture for younger, smoother, and more radiant skin! Scrub-a-dub-dub deep down into the skin to get that lit-from-within, rosy glow! I really love scrubs so this box definitely appeals to me. I have seen unboxings of the first Scrub Box and it was definitely interesting! I have 7 boxes ordered at the moment though so I am on a bit of a spending ban. When skin doesn’t look as good as you want it to, wish upon a mask for blissful skin happiness! You can do the A to Z of skin care perfect skin, but one really good facial mask can do all that, in just 10 minutes! When skin gets flushed, cracked, or looks not-so-good, these masks do a blockbuster job of transforming dull, dry, and flakey skin into some sort of smooth radiant miracle. Sure you look stupid for maybe…10 minutes? but hey, it’s like having a luxurious facial in your own bathroom! We say it’s totally worth it! Try our top mask picks, brimming with essential vitamins, minerals, and antioxidants, for an extraordinary skin makeover! I also really love masks so this is another one that seems great to me. 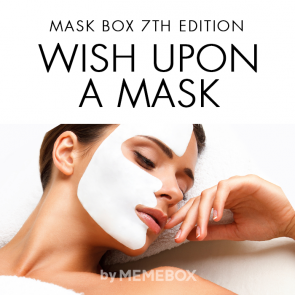 This is the 7th edition of the Mask Box so I would hope they aren’t running out of ideas or products to use but regardless, this definitely would be a fun box to dive into! Living in Canada, the cold is definitely something I battle for a large part of the year. My feet are often dry and embarrassing so this is something that would be great to try! Especially since it doesn’t ship until November so it would be getting to you right in time to start some winter foot therapy! Oh my lips! The colder season is comin’ round the corner, but are your lips ready? Cracked, blistered, and dry lips were never hot in beauty history, (and never hot in your love life!) so do you have all the lip essentials to keep your kisser nice and smooth this winter? If taking care of your lips isn’t part of your beauty to-do list this winter, re-think your beauty priorities. Most people don’t know, but collagen loss and wrinkles around the lips add ages to your face, and with winter winds and drier climate, lips are more prone to aging and thinning. Scared yet? Don’t fret because we’re here to help you fight against lip-aging with this Oh! My Lips Box. Bursting with lip masks, lip patches, lip balm, and lip-thingamabobs, plus some holy-grail lips colors, this box is the answer to all your winter lip problems. All goodies are made with a bold blend of potent age-delaying, moisture-enhancing, volumizing, and smoothing ingredients to give you the look of beautiful, plump, and youthful lips! I have had a recent obsession with lip products so this box is another super tempting one! I would love it more if it was more focused towards lip colours and less so towards clear balms and things like that. I can’t wait to see peoples unboxings to see what this one has in it! Gosh, can’t I just win the lottery so I can buy ALL of the boxes haha. There are so many that I want to try but just can’t at the moment. One day I will buy more but I need to at least get some of the ones I have ordered before I fork over any more money. Below are some of the checkout codes you can use to save some money on your order! So when I wrote my upcoming unboxings post, I completely forgot about my SampleSource box that I had coming in the mail. I don’t know how I could forget because this company and the box they send are so exciting! This is only my first SampleSource box and I am so excited that I have gotten involved with this program. Some of you may already know what SampleSource is but for those that don’t, it is a “try before you buy” program. When you first sign up, you answer a questionnaire about yourself and your demographics. SampleSource gathers products and sends out boxes 3 or 4 times a year (with the new seasons). When they are ready to send out the new boxes, you will receive an email that asks you a few more questions relating to yourself and also the products that they have available. After going through this, it will list the products they have available that match your profile and preferences. You select which ones you are interested in receiving and 4-6 weeks later you get them in the mail. Everything that is sent out in these boxes is free to you, all the company asks is that you use the products when you receive them and fill out any surveys that they send you about the products. This is an amazing company and I am so excited to be able to write this post. Although I did receive everything in this box for free, this will not influence my opinions on the products. In this amazing box I got 17 different samples. 17!!! Can you believe it? Just amazing. Please beat with me since this blog is new, I am working on getting a better camera to use. Until then, the pictures will not be the most beautiful thing in the world. Sorry! The first product I want to talk about is the John Frieda Full Repair set. This little set came with a sample of the Strengthen + Restore Shampoo which “restores strength without weighing hair down”. It also included the Hydrate + Rescue Deep Conditioner which “weightlessly restores moisture to dry, dull hair for enhanced softness and shine”. I am pretty excited about these! I definitely have dry hair and my hair is fine so the fact this claims to moisturize without weighing hair down is very exciting! The third panel talks about the Full Repair Repairing Oil Elixir that smoothes, shines, and strengthens. This panel is pretty flat so I’m not sure if it is empty or contains a small sample of the oil. I will have to investigate later and get back to you! These sell for around $9 for the full size of the shampoo (250 ml) and conditioner (115 ml). The oil sells for around $12 in the full size. The next sample is another John Frieda product (there are quite a few in this box which is great!). 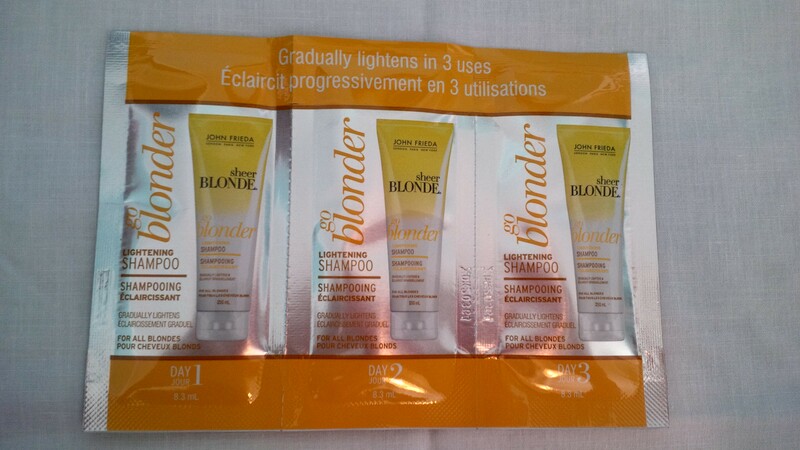 This one is the Sheer Blonde Go Blonder LighteningShampoo. It claims to gradually lighten in 3 uses and it provides shampoo samples for days 1, 2 and 3. It says that it uses citrus and chamomile to lighten and renew hair. This is very interesting! I am blonde so this is definitely great. It is also ammonia and peroxide free so this makes me happy. I am skipping hair appointments at the moment to try and grow my hair out so this might be a nice pick me up for my hair since I’m not getting my highlights refreshed either. This shampoo sells for around $9 for the full size (250 ml). The next John Frieda product is the Sheer Blonde Colour Renew Tone Correcting Shampoo. Much like the Go Blonder Shampoo, this is said to change your hair gradually over 3 days and it will take your hair from brassy to blonde. This once again provides samples for days 1, 2, and 3. This one is also ammonia and peroxide free which is great! A lot of my more blonde colouring is from my highlights but I am not sure if they are brassy. I am really interested in seeing if this will have any colour changing effects on my hair! Very cool that we got so many different types of samples. This shampoo sells for around $9 for a full size (250 ml). The last John Frieda product in the box is the Secret Weapon Touch Up Crème with avocado oil. It says that it “seals hair to eliminate frizz and flyaways”. The way you use it is to apply it to dry hair. Rub a small amount into palms, pull through hair concentrating on the ends. I definitely have frizz and flyaways a lot of the time since my hair is long and fine so it is easily messed up. 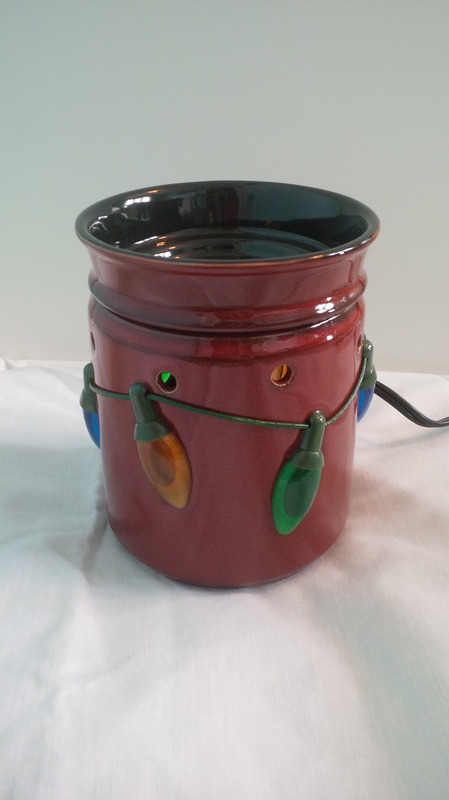 I am really excited about this product! Not only that but 30 ml is a generous size considering you really wouldn’t need to use much product at a time. Total score! The full size (115 ml) of this crème sells for around $9. I love moisturizers so I am excited to try this. It does not say anything about a scent for this lotion so I am excited to see what it smells like. I will let you know. It also comes with a coupon for $1.00 off of any Jergens Moisturizer that is 100 ml or larger. The full size (775 ml) of this sells for about $8 and that is super inexpensive for such a large product! This is the cutest little deodorant. I would say that this is a travel size which is quite generous. This is the Dove Go Sleeveless 48h Beauty Finish Anti-Perspirant with nutrium moisture. I normally use a different type of Dove deodorant so I am really excited that I got this! The scent of this deodorant is just a clean, soap type of smell. Definitely not offensive at all! The full size of this is 45 g and sells for about $3 so this is definitely a good size sample at 14 g. Very excited about this! This is a great sample because who doesn’t need toothpaste. I am almost out of my current tube so this came at a great time! This is the Arm & Hammer Truly Radiant Whitening & Enamel Strengthening Toothpaste. It is a Fresh Mint Flavor so hopefully it tastes good! 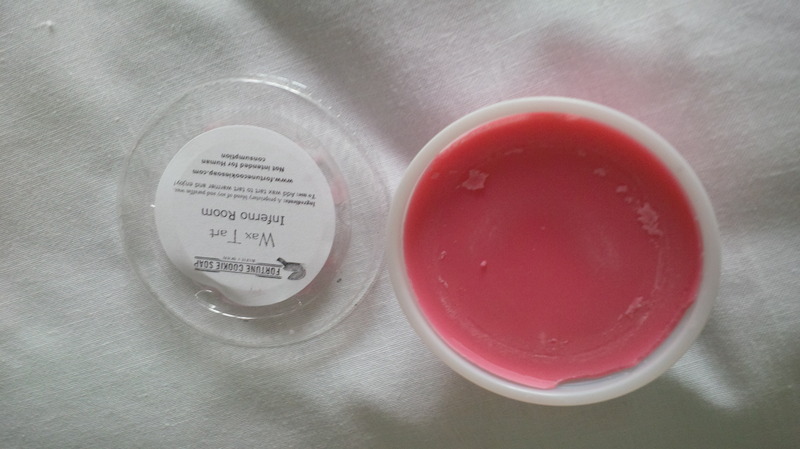 This sample is 18 ml and the full size (90 ml) sells for about $3. This sample is a package of 2 Breathe Right Nasal Strips. I have never tried these strips but I definitely could have used them last week since I am just getting over the cold that never ends. I am excited to try them the next time that I have a cold (not that I want to be sick!). This package has 2 strips but the full size has 30 strips and sells for about $18. Next we have the Schick Hydro 5 Razor. This razor is typically for men but I find that mens razors sometimes have a closer shave than women’s do and I am not opposed to using them at all. I kind of prefer using them for my underarms! This one has a hydrating gel reservoir and 5 ultra glide blades to reduce irritation. It also has a top part that can flip and be used as a trimmer. This is super cool! This package has one razor with one cartridge. The retail version comes with an extra cartridge and sells for $10. I was going to pass this along to one of my brothers but I think I am going to keep it for myself. 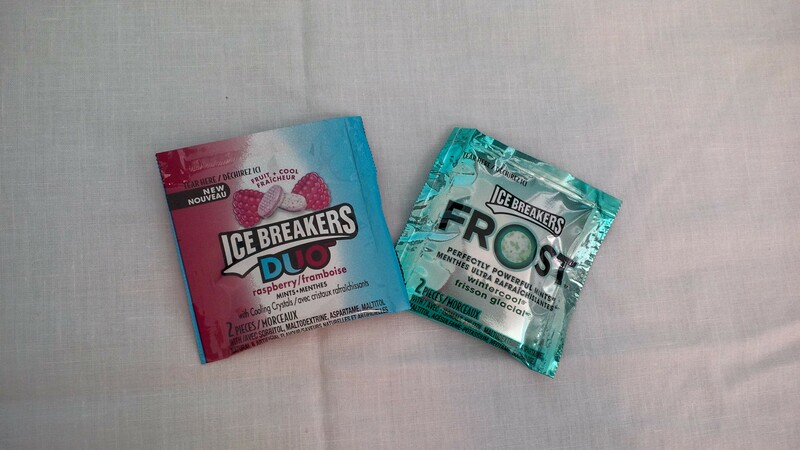 These are two separate samples from the brand Ice Breakers. The package on the left are the Fruit + Cool Duo Mints in Raspberry. The ones on the right are the Frost Mints in Wintercool. I have tried the Raspberry ones before and they are delish! I am really excited to have them again. The mint ones sound really good too so I can’t wait to try them. Each of these packages has 2 pieces in them. The full sizes of these are 36 g and sell for $2. This is a full size chocolate bar. A FULL SIZE?! Can you believe it? I am so excited about this one. 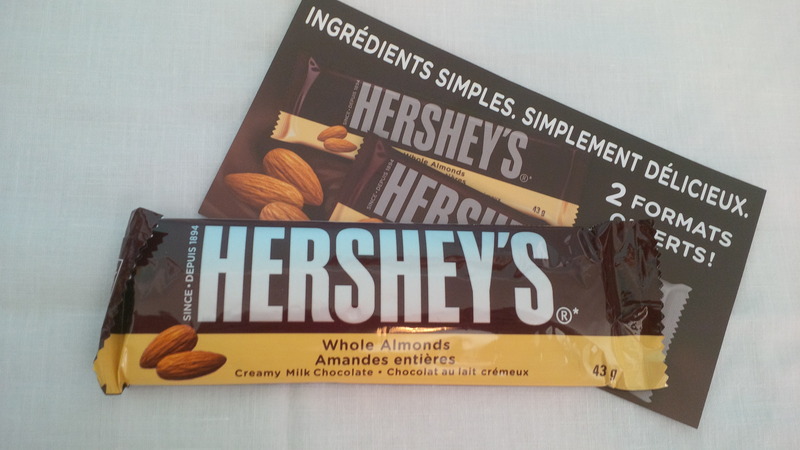 This is the Hershey’s Milk Chocolate Bar with Almonds. I have had these before and they are delicious. I am super happy about getting this in the box. This full size bar is 43 g and retails for about $1.25. 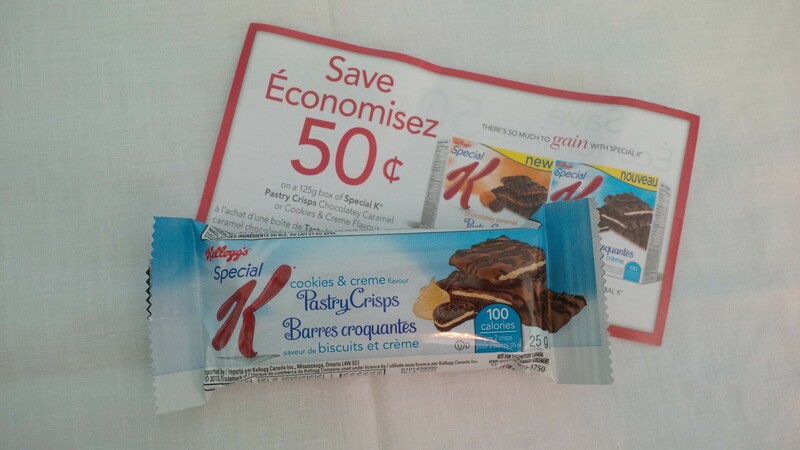 This is the Kellogg’s Special K Cookies & Creme flavour Pastry Crisps. This is a new flavour for Special K and it looks great. Each package is 100 calories for 2 crisps. SampleSource also gave us a $.50 off on a box of these in either the Cookies & Creme flavour or the Chocolatey Caramel flavour. A regular box has 10 of these packages and sells for about $3. Much like everything else in the box, this definitely excites me! Next up are the Brookside Dark Chocolate Açai with Blueberry snacks. I have had these before and they are really tasty! My mom’s eyes lit up when she saw this in the box so I may have to share these with everyone. This package is 20 g and the full size (595 g) retails for about $9. When selecting the products to put in your box, you got to choose between Green, Chai, and Earl Grey teas. I’m not a tea drinker and my mom doesn’t like any of these flavours too much so I got the green. A lot of the people I work with like green tea so I figured it would go to good use with one of them. We got 2 tea bags in this box, the full size comes with 20 bags and retails for about $4. 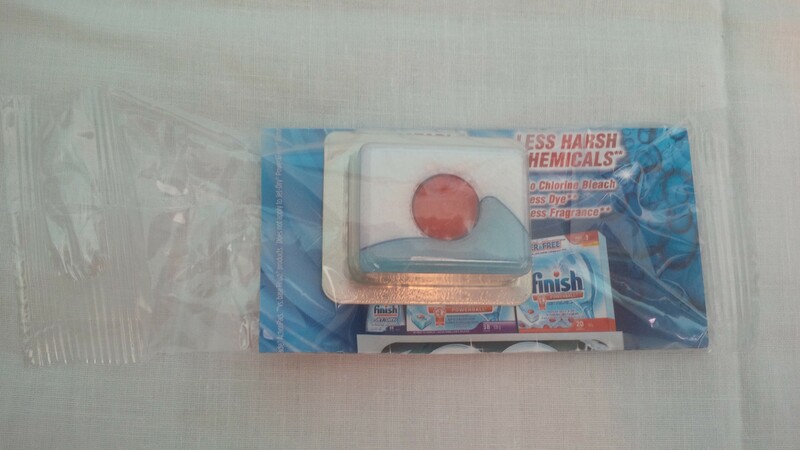 The final product in our box was a Finish Power & Free Dishwasher Pack. Things like this are always handy because with 5 people living in our house, we need to wash dishes a LOT. This will definitely go to good use. The full size of this comes with 16 packs and sells for about $8. Phew, that was a lot! What a great box. I am so thankful to have received all of this awesome stuff! I think that I will try this stuff out for a little while and come back with a review of the products I got in the box in maybe a week or two. I would definitely recommend this box for anyone who loves to try out a bunch of awesome products and help out great companies! Over the next couple of months, I know that I will be receiving several boxes. A couple of these boxes I get on a regular basis, and some I have ordered. For the most part, they are all super exciting and I am going crazy knowing I have to wait for them!! If you are interested in unboxings, here is a little heads up for what you will be seeing on here. Topbox is a Canadian subscription service similar to Ipsy and Birchbox. It costs $10 a month plus tax and shipping is included in this price (only for Canadians, sorry!). Each Topbox comes with 4 sample size or full size products. Topbox ships on the 15th of every month and is pretty quick to ship. You do have to request an invitation for Topbox and once that is emailed to you (could take a couple of months), you have 24 hours to subscribe before the invitation expires. You will be seeing this unboxing post in November but unfortunately this will be my last Topbox. I have only received 3 months worth but did not feel that I was getting my moneys worth from the products I was receiving. Don’t get me wrong, these products may really excite someone else. I found that I got almost no makeup products, and almost all skincare. Skincare products are great but makeup is really what I prefer so I decided to cancel this one. Ipsy was the very first subscription service that I received. I have been subscribed for about 5 or 6 months now and I still LOVE it! For those who don’t know, Ipsy is a monthly beauty subscription service in which you receive 4-6 products that can be makeup, skincare, or hair care related. It costs $10 a month as well but us Canadians have to pay an extra $5 per month for shipping. Each of these bags comes in a makeup bag that you can keep so that is a really nice little touch. What you get in your Ipsy bag can be based on a couple of things. When you subscribe, you fill out a little questionnaire that tells them your hair colour, skin colour, eye colour, and other things that can help shape your preferences. Along with this, you can review each item when you get your bag, so that over time your bags become more customized with your preferences (for certain brands, products, colours, etc.). 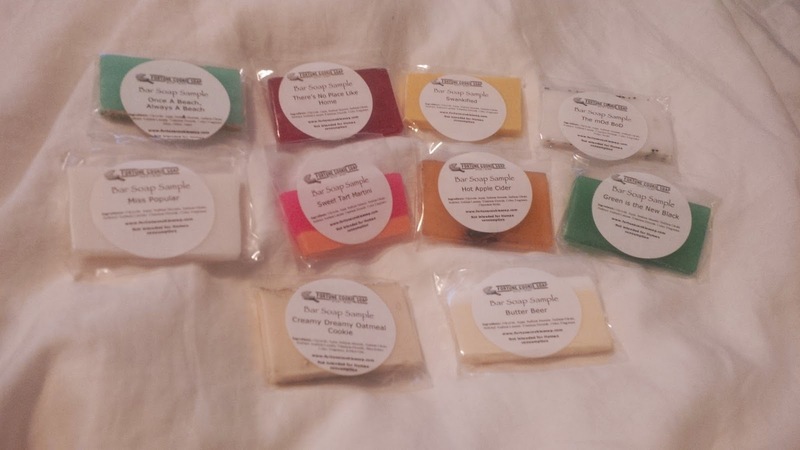 Although this is only my second blog post, if you have read the first than you will already know that I am obsessed with Fortune Cookie Soap. The Soap Box is their monthly subscription service. The prices for this box are $20 for US residents, $28 for Canadian residents, and $34 for International residents. The charge is taken out every 3 months from the time you first subscribe and the box is delivered quarterly (one for each seasons line). Each season the company comes out with a new line of products and the Soap Box provides one product for each scent in the new line. Each box comes with 2 full size products (the fortune cookie soap and the OCD hand sanitizer) and the rest are usually sample sizes. 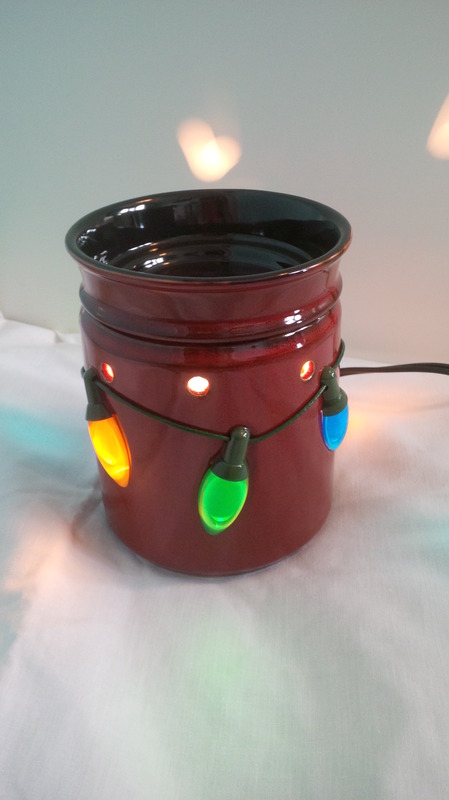 The products can range from soap, body wash, wax tarts, perfume oils, and many other things. 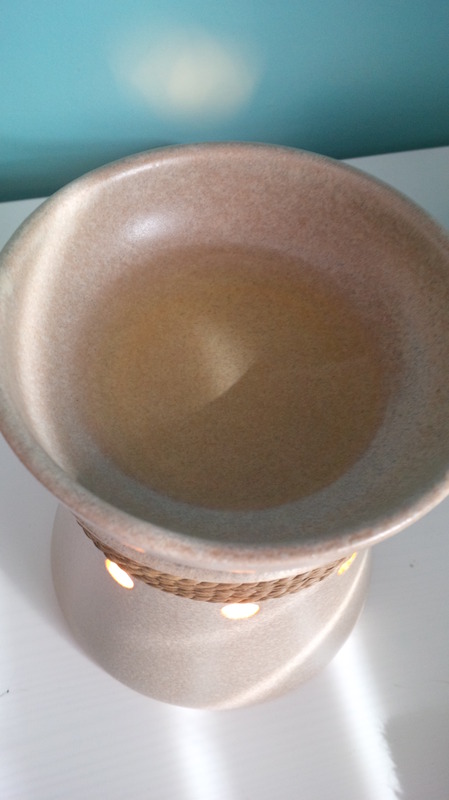 With these seasonal launches, the different scents are available in many different products so if you receive a soap and love the scent but not that soap, you may be able to get the scent in a different product. Each box also comes with a unique $10 coupon code (these can only be used once so don’t share it with your friends, unless you want to of course!). I absolutely LOVE this box (it may be my favourite subscription) and do not plan on cancelling it anytime soon (or ever if I can help it). The next Soap Box ships on November 3 so my unboxing should be up in the middle of November. My latest obsession has been Memebox. I haven’t received one yet but I have managed to order 5 boxes and have watched/read countless unboxings and reviews. When I say obsessed, I mean it! She cast a magical spell on us to create this Tink inspired beauty box, full of all things shimmery and glittery from head to toe! Adorn yourself with sheer, lightweight shimmery makeup and body goodies that will give you a subtle fairy-dusted look! Add a touch of glitter to eyes and lips for an understated, yet beautiful eye-catching shine, or go all out and amp up the intensity with sparkle flecked shimmers! You choose! Follow the fairy trend and highlight and illuminate your body and face (minus the excessive shine!) with pearl-based luminizers that give you an enchanting glow! When I originally looked at the title and picture for this box, I did not think I would be interested in it. However, when I read through the description, I got really excited about it. I do not own a highlighter (although I really should) or anything like that so this sounded really cool to me! This box retails for $29 plus the $6.99 shipping and starts shipping on November 11. Hold on. Let’s all take a second to open up our makeup bags and inspect what is going on in that jungle we call our makeup bag. If you’re like us, it’s most likely overflowing with old mascara, cracked eyeshadows, dry lipsticks…and a long list of stuff that should have been thrown out last month. I was drawn to this box right away. Probably because I am a makeup junkie and have a hard time resisting a deal like this. I had already bought the colorbox bundle (coming up) and had decided not to buy anymore. 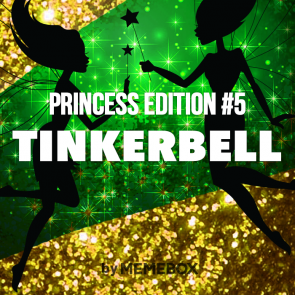 The shipping date for those ones is so far away though so I gave in and bought the Tinkerbell box and this one. This box cost the regular $23 plus the $6.99 shopping and starts shipping on December 10. Each of these boxes regularly costs $15 but the bundle allowed me to purchase all 3 for the price of 2 ($30) as well as having one low shipping price of $6.99. Usually you would have to pay that shipping price for each individual box so this was a steal. Not only that, but the bundle allowed me to get the express shipping for the price of regular shipping so I’m so excited! The shipping for this bundle starts on December 16 so I won’t be surprised if it doesn’t get to me until after Christmas. Neutral shades are timeless, and coral lipsticks are flattering, but now is the time to turn up the notch with bold, electric colors! New innovations and crisp colors makes these bold-colored goodies wearable for daily application – and so much more gorgeous, especially when you want to highlight a particular feature of your face. Or, wear these dashing colors with an otherwise neutral face for powerful dose of beautiful color! Of the three colorboxes, I have to say this is the one that scares me the most. I love makeup but I generally go towards more neutral colours. “Electric Brights” sounds scary to me and I’m not sure if I will be able to use the products but I am willing to try. Not only this but I knew I wanted the other 2 colorboxes so it wouldn’t make sense to pay the same price for 2 of them when I could have all 3 without paying any more. Whether you consider yourself fair, medium, olive, dark, or anywhere in between, this box full of rich, saturated jewel hued goodies that are universally flattering and will look good on virtually everyone! I am excited for this box! 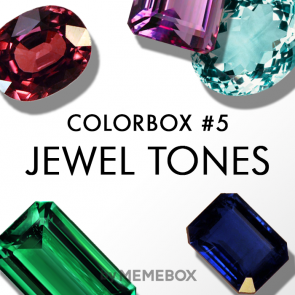 I think that jewel tone colours are beautiful and even though I don’t have much experience with them, I would love to try some out. I think that this box could really deliver some amazing products! Thinking pastel shades are for wallflowers? So cliché. This season, Jordan-almond pastel colors have gone totally badass and totally edgy! Wear these universally flattering pastel perfections on the eyes, lips, and face to brighten up the complexion and add a mouthwatering punch of color! Depending on how much you layer on, you can go from girl-next-door to full on vamp for a wide range of looks! With a pinkish pout, soft pastel eyes, a simple wash of color on the face, there’s virtually no room for error! We’ll show you how! 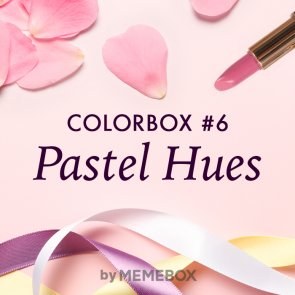 This is the colorbox that I am most excited about!! I think they could find some beautiful lip and cheek colours for this box and I can’t wait to see what they come up with. 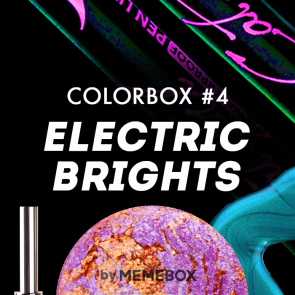 These are all of the boxes that I know to be expecting soon although I’m sure Memebox will release some other boxes that I “have to have” before too long. I am so excited to get these boxes and share them with you!! If you subscribe to any boxes, what are your favourites? Let me know in the comments! Since I am not due to get any subscription/beauty boxes for the next little while, I thought I would start off with a post about some of my favourite products at the moment. There is one main company that I am loving lately and would like to shout my love for it from the rooftops! The company that I just can’t get enough of is Fortune Cookie Soap. 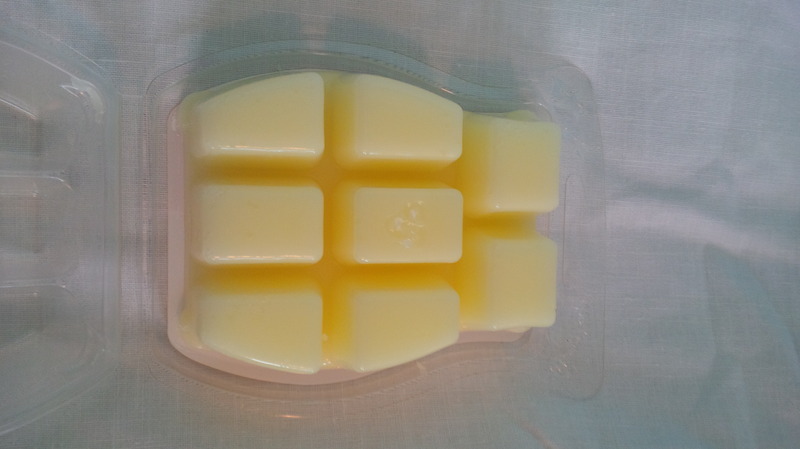 This company is an indie soap company based in Oklahoma and aside from their one retail store, they are based online. I cannot say enough great things about this company! Some of you may have had experience with Fortune Cookie Soap (FCS) through their quarterly soap box subscription. This is the way that I first experienced their products and lets just say, they have gotten a lot of my money in a short time. FCS creates a line of products for each season and they send out their soap box a few weeks before the launch of these lines. Every box comes with one product for each scent of the new line which lets you try out the different scents. My first box was the Fall 2014 “Witch, Please” box and I was in LOVE! 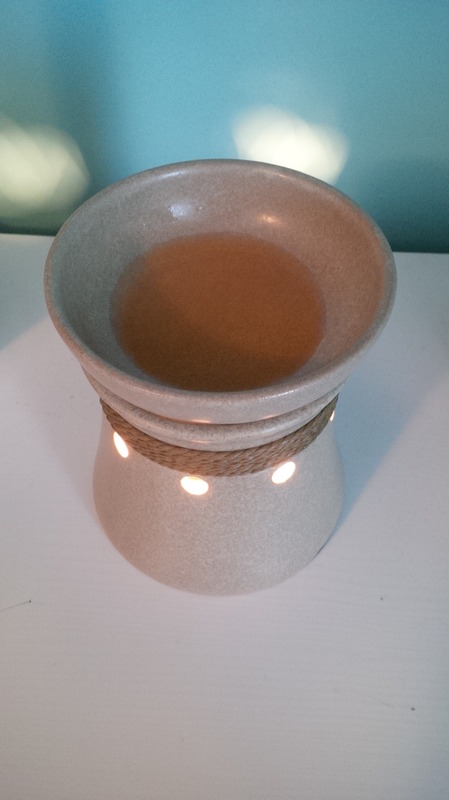 They offer such a wide variety of different products and scents that are definitely worth checking out! The subscription box is $20 for US residents, $28 for Canadian residents, and $34 for International residents. You are charged this every 3 months from the original date that you signed up and it comes out automatically unless you decide to cancel it. Along with the products that come in the box, each person is sent a unique $10 coupon code that you can use towards a purchase of products (it can’t be used towards a soapbox subscription). Even though it is a little bit more for me since I live in Canada, I think it is definitely worth it to subscribe!! I will definitely be blogging my unboxings of these subscription boxes when they come (the next one ships November 3). On top of their fabulous products, FCS has the best customer service of any company I have made a purchase from. They are so focused on what their customers want, and bend over backwards to clear up any issues that you may have. I can see myself purchasing from this company for a long time to come and I would definitely recommend checking it out if you are really into soap, bath, and body products. You can find their products at www.fortunecookiesoap.com. 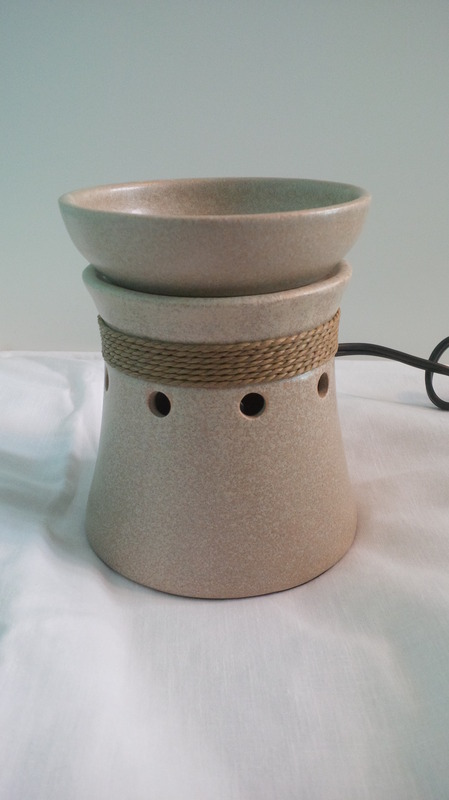 One thing that is important to remember with this company is that the products are made in small handmade batches. There may be some product variation in colour or design because of this but it helps to add to the charm of the products and company. 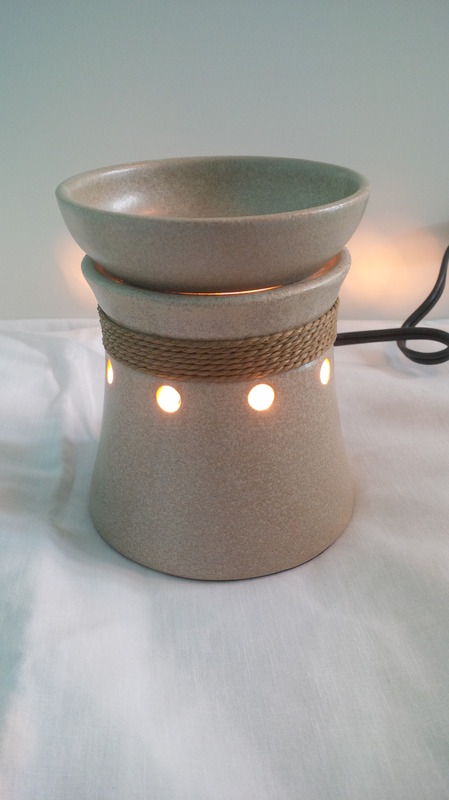 I have been involved in the launches of 2 product collections so far. The first was the “Witch, Please” collection and the theme of this is based on The Wizard of Oz and Wicked. The scents from this collection are: Swankified, There’s No Place Like Home, Flying Monkeys, BFF’s, Wicked Good, Green is the New Black, Miss Popular, The Shiz, No Good Deed (only available in some products because of the high cinnamon content), Hair Flip, and Roy G. Biv. The second collection was called “Third Time’s the Charm” and the theme of this one was based on Beetlejuice. 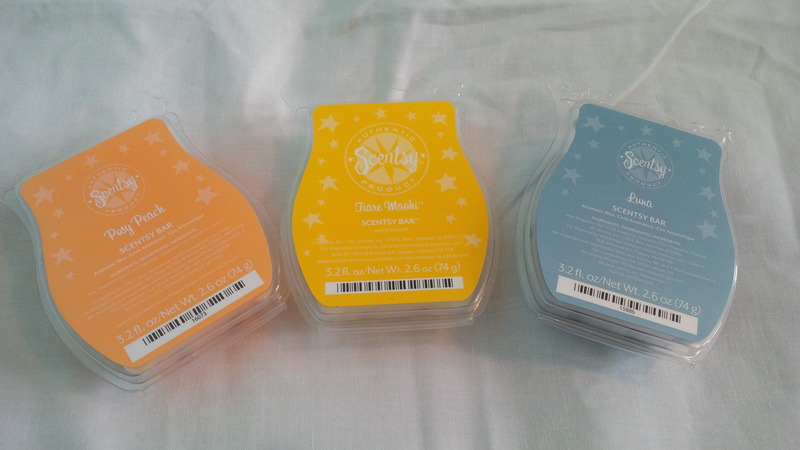 This one was a mini collection which means that each scent is only available in one particular product instead of several different products. The scents from this collection are: Prince Valium, Ghost with the Most, Here Lies…, Day-O, Recently Deceased, Inferno Room, Girls Girls, Beetle Breath, Strange and Unusual, It’s Showtime, Zombie Repellent (re-released from a past collection), and Belle (re-released from the “Magic is Coming” collection). 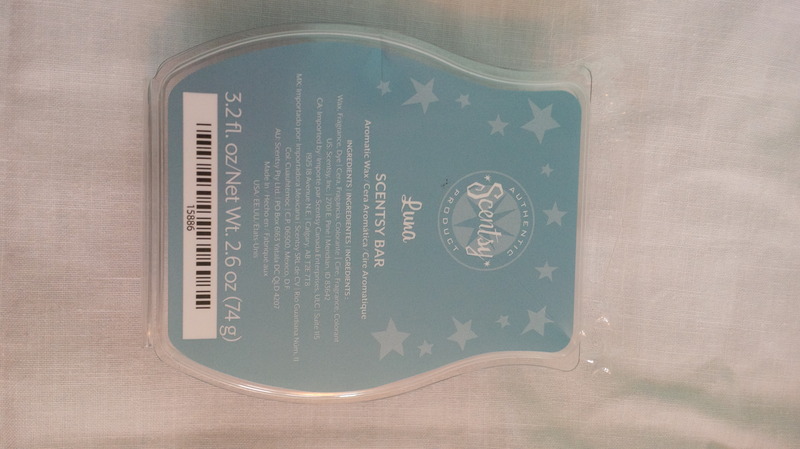 It definitely is a bakery scent so if you like that sort of thing, this may be for you! 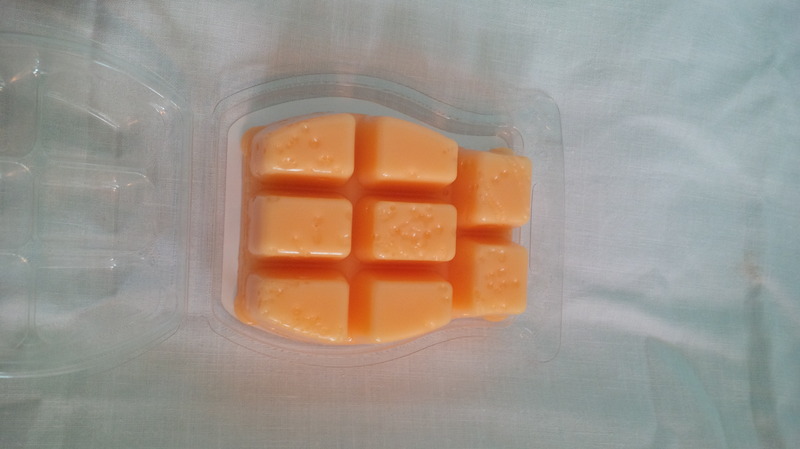 This sampler comes with 11 sample slices from different types of bar soaps that the company has in stock. 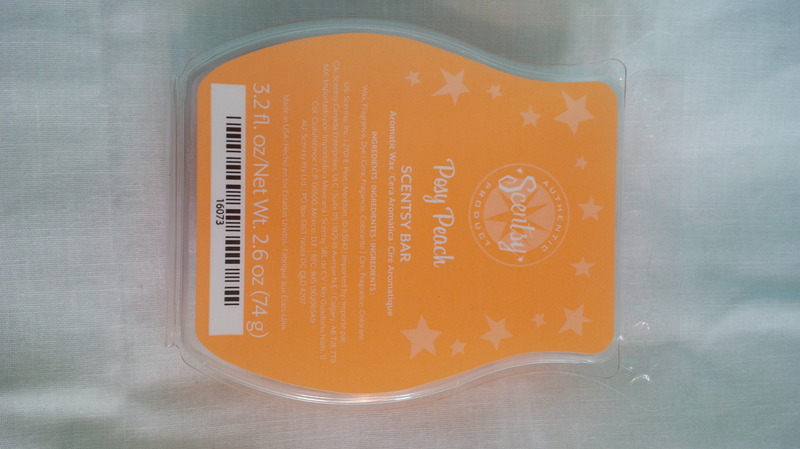 This is a great purchase so that you can smell a variety of their scents for a low cost. 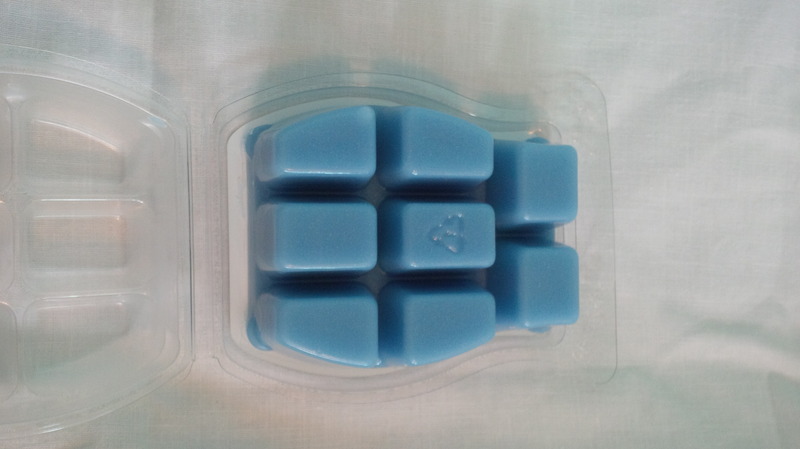 I use the Soap Saver from this company for the little sample slices because it is easier than trying to wash your body with a small piece of soap just in your hand. “Recently Deceased” (“Third Time’s the Charm” collection) – “Halloween candy corn, sweetened with campfire marshmallows”. 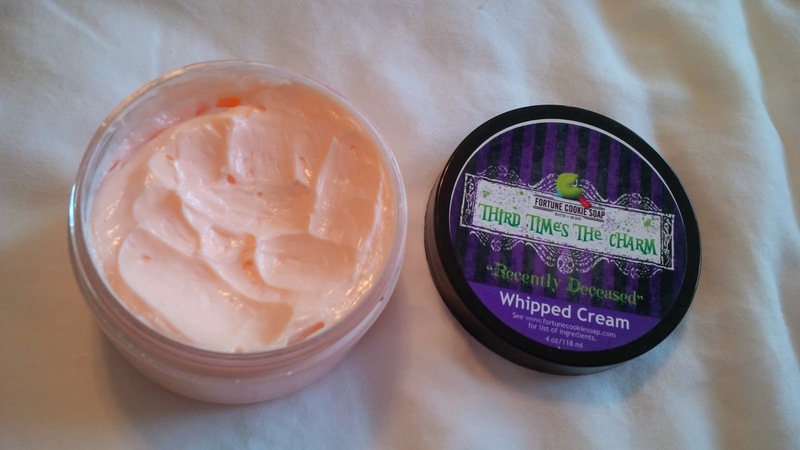 The whipped cream that I got in this scent is a beautiful peachy orange colour and it smells divine!! It is definitely a sweet candy corn scent so if you do not like super sweet scents, this probably isn’t for you. 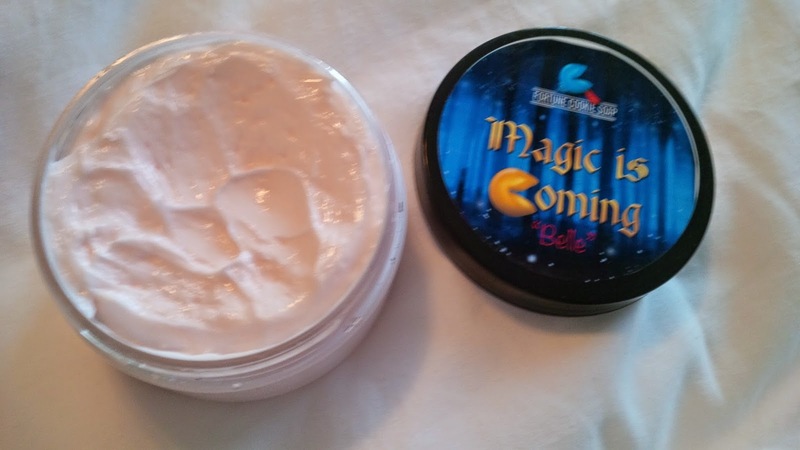 “Belle” (“Magic is Coming” collection, re-released in the “Third Time’s the Charm” Collection) – “This body butter is a tropical paradise in a jar! It begins with top notes of mandarin, Mexican lime, tangerine, and kumquat; middle & base nots of watermelon, tart green apples, coconut & pikaki”. This one was not coloured for me but the smell is still amazing. It is a perfect blend of fruity and floral. “BFF’s” (“Witch, Please” collection) – “Sticky sugared blueberries and luscious baked pumpkin with all the fall spices atop a warm cake accord”. I have to be honest, I wasn’t sure how I would feel about the blueberry and pumpkin combination but when I tried it, I loved it!! You could definitely smell both of them in there and it was beautiful. 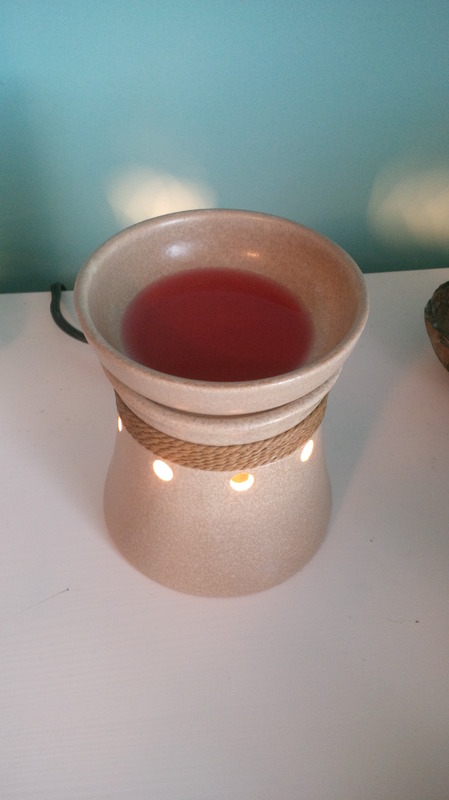 “Green is the New Black”(“Witch, Please” collection) – “Top notes of orange, apple, pear, pineapple, and cherries lured into autumn by pumpkin, cinnamon, nutmeg, and clove, all rounded out with warm vanilla-infused sugar”. This one was probably my least favourite whipped cream scent of the ones that I have tried but that is by no means a bad thing. I definitely still liked this scent, there was just a lot going on with it. 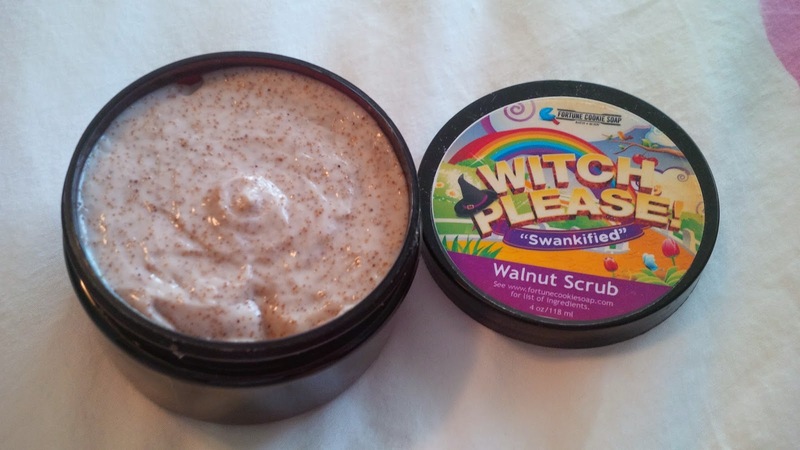 “Wicked, Good” (“Witch, Please” collection) – “Sweet pumpkin pie filling with the perfect touch of cinnamon, ginger, and brown sugar, finished with a generous dollop of fresh whipped cream”. This is a perfect pumpkin pie scent! 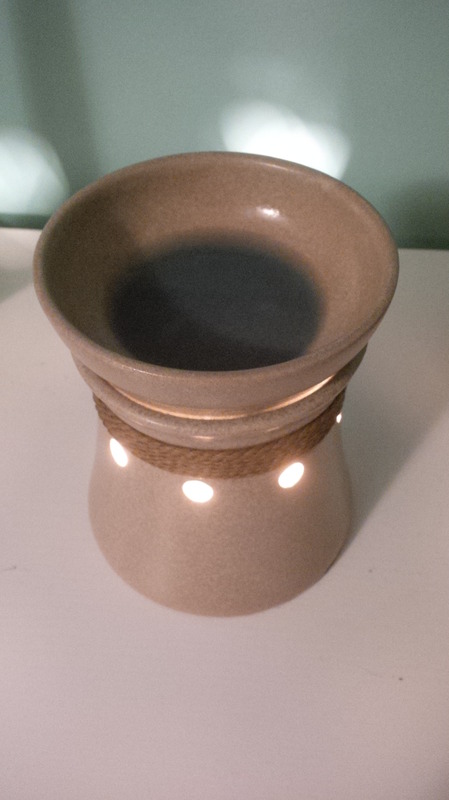 It is a very nice fall scent so it fit perfectly well for the timing of this launch release. I have tried several different types of their products but I am going to leave this post here for the time being. If you would like to hear more about other Fortune Cookie Soap products, leave me a comment and I will definitely get to posting that!